Today’s Image of the Day is by artist Anouk A.. 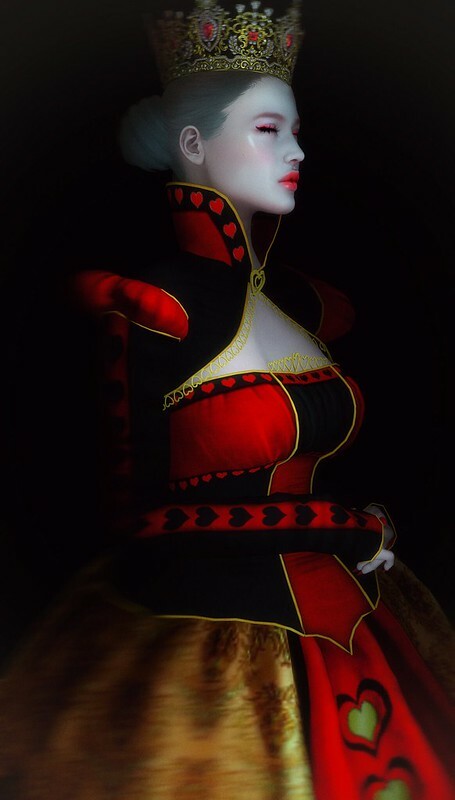 This portrait of the evil Red Queen is simply astonishing. The detail are superb and you get a sense of dignified royalty and snobbery. 😛 The reds and golds are so vivid too. We absolutely love this picture so much! You did a knock out job Anouk! As this month comes to an end so does our current round of Enchantment. Only 2 days left to attend this amazing event. We welcome you to fall down the rabbit hole and into our Wonderland. Event ends May 31st. Here is your TAXI.